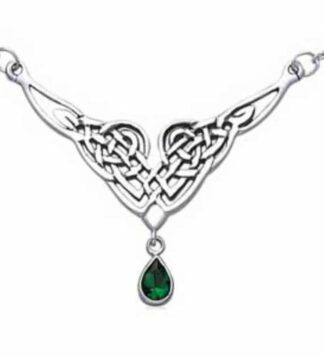 Another delightful necklace imported directly from Ireland. 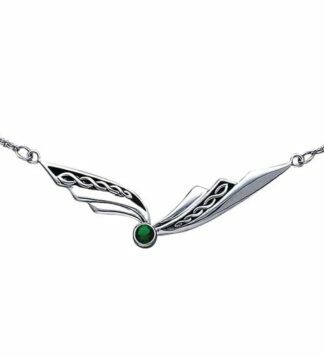 Designed following the ancient Celtic style this necklace was handcrafted in Ireland and hallmarked at Dublin castle. 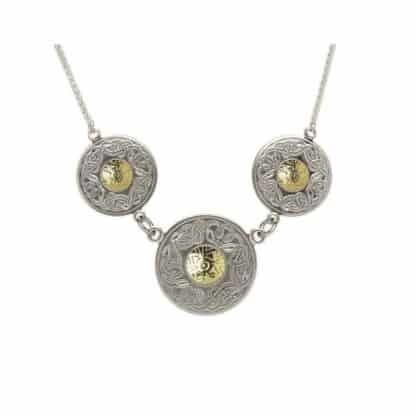 Made from sterling silver with a center pieces of 18K gold beading. An authentic piece which can be matched with the earrings below to make a perfect gift.